I read an article entitled “The Disturbing Plight of Child Performers” by Marc R. Stanberg, Esq. and Daniel K Stuart, Esq. Their article led to my presumptions and beliefs that those child actors and actresses who made a big name in the entertainment industry at a young age have mostly suffered some emotional setbacks, personal and psychological problems, and developed disturbing patterns of severe coping difficulties when they grow up. Macaulay Culkin, River Phoenix, Gary Coleman, Todd Bridges, Danny Bonaduce, Rusty Hamer, Shirley Temple, Jackie Coogan and many others who ended up dead, addicted, depressed, in financial distress or in trouble with the law. The deaths of teenage film star River Phoenix in drug overdose and former child actor Rusty Hamer of "The Danny Thomas Show" in suicide are extreme examples. The arrests of Danny Bonaduce of "The Partridge Family" for assault, Todd Bridges of "Diff'rent Strokes" attempted murder at a crackhouse and his co-star Dana Plato in robbery. Others are victims of their own parents. They are victims of a parental squandering of a child actors’ earnings. Child actor Macaulay Culkin of “Home Alone” was the money maker of the family and yet parents spent Culkin’s earnings to a custody court battle between his two parents for who’s going have the right and custody of Macaulay and his brothers and sister. The Court transferred Culkin's finances from his parents to his accountant because the custody battle had caused the family's financial situation to deteriorate so much that "there is a real possibility of this millionaire and his family being evicted and left without any home." Gary Coleman of "Diff'rent Strokes" sued his own parents to recoup millions of dollars of earnings.. Coleman successfully sued his parents and managers for $3.8 million. Lee Aaker ("Rin Tin Tin") earned hundreds-of-thousands of dollars during his stardom. When he stopped acting, there was only $20,000 remaining, and his mother "doesn't know" what happened to the remainder. Beverly Washburn ("Old Yeller") was worth only $250 when she became an adult. When her mother sold the house she had purchased with Beverly's earnings, she gave Beverly fifty dollars to buy some new clothes. What a story, the reason why there is law now in the US made to help and protect child performers. Shirley Temple supported a household of twelve, including her parents, throughout her film career. When that career wound to a close, her only assets were a few thousand dollars and the deed to her dollhouse in the back yard of her parents' Beverly Hills home. Run, Walk, Show ... How Do You Use Running Shoes? Athletic shoe, sporting apparel, casual footwear, trainers, sandshoes, running shoes, runners, sneakers, gym shoes, tennis shoes, tennies, sport shoes, sneaks, takkies ... doesn't matter what you call them, they just aren't dress shoes -- or are they? I can’t explain the feeling I felt this morning. It was Kyle David’s first day in school, not yet a regular schedule since the official first day of school is yet on June 9th. It’s a sort off pre- class to make the child adopt to a real class. But his mom and I considered it as our son’s first day in school. I was not as excited as my wife was based on how she’s been since the other day, when she said repeatedly what Kyle should be wearing and what should be his food. I was just calm and acted like today would just be a common family day. Until it came and deep inside I’m so excited also. I’m sure most of us parents felt that way too for our children.. I was also a bit worried at first what will be Kyle’s reactions if he’d already be inside the class room with out us by his side. What would be his actions if he will be joining by some other children his age also. Kyle has a playmates here in our neighborhood but not as many and not as long as he will be with his classmates now. I am so glad that Kyle was behaving inside the classroom as I saw from the crystal window outside the room. He was just sitting there listening to his teacher until such time he was already participating in some discussions and activities. I felt lucky during my time because my mother was teacher and my classroom we relocated at the next room where she was teaching and I already know my teacher because she was my mom’s co-teacher and friend. What a day --- 9:30am – 12:00 noon seem like months to me. This is just another chapter of a parents’ life. Tiring, exciting and scary but definitely one of the happiest moments of our life. It seems that the percentage of those who passed the Nurses Licensure Exams have been decreasing. Out of 67,728 nurses who took the 2007 exam, only 28,924 passed depreciating the number by almost 42.7%. Nursing schools in the country who reduce the quality of teaching even before the average passers of the Nurse Board Exam really range from that numbers. There’s a lot of schools nowadays offering Bachelors of Science in Nursing course. Maybe because of the volume of students who take up nursing course. Hopefully the quality of education and screening is still maintained. Not just only to enroll as much students who wanted the nursing course. But to be able to help those students prepared nurses in the future. To graduate and pass the board exam as well. I remember how hard and rigid the screening and selections of nursing students were during our time. NCEA results is so important and the cut off for NCEA must be 82% and above. Otherwise, you must pass the entrance exam with a higher result. Grades in every subject must be maintained above 82% for a minor subject and 80% for major subjects. You should also have an average grade of 83% plus pass other screening before capping. I remember maybe ¼ of the class did not make it to be included in our capping. This could be a reason why our batch garnered the Top 1,3,6 and top 9 of the Dec 1995 exam plus more than 20 students from my batch is in the list of top 20’s. 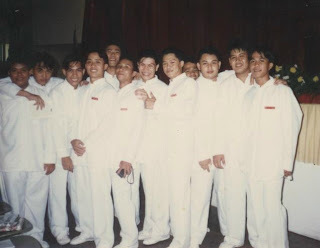 Also more than 10 of my batchmates made it to the top 20 in June 1995 Nurse Licensure Exam. With almost 75+-80% passing students. This is also a reason why I am so proud that I belong to Colegio de San Agustin – Bacolod College of Nursing Batch 1995 as I witness how the school did abide by strict and high standards for its nursing students. To all 28,924 New nurses who made it in their Nurse Licensure Exam, my big congratulations. Welcome to the world of nursing. Nursing profession does not end there. Our profession did not end in the four years in our school and did end by just passing the board exam, but instead these are the beginning of our career in caring. Most of us after who passed the board exam worked in hospitals as volunteer nurse, with out salary. Other hospitals provide allowance but most of them do not give even a single dime. Lucky if you know someone in the government which you can start as casual or regular hire immediately. The reason why is that nurses after years working in a hospital here, tend to apply for a job abroad. Others work as volunteers for almost a year and as a reliever only. Just to have a certificate of employment which will be going to be used for their applications for job abroad. 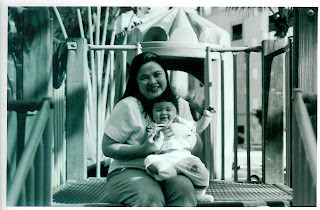 The making of Nursing 1995 website started by a "small talk" between Matt and me when the two of us got a chance to meet when he joined his family here in Manila. I think it was last October. It’s been two years since we got to see each other again. So we were just reminiscing those memories we have during college days over a bottle of Light San Miguel beer. When he got to mention about our batchmates who are now working in different part of the world, we thought maybe we could have our reunion in the near future. We leaned towards a chat about the need for a website where we and our batchmates can have access or contacts with each other. So we came up with the website. I told him maybe we could start with our batch website in some free web hosting site like geocities and hopefully with the financial help of our batchmates someday we could launch a more professional (and paid) one. With the help of Friendster in my friendster account I gradually contacted each of our batch mates who only have Friendster accounts. I started locating them and downloaded some pictures of them through their Friendster accounts and gradually submitting some old pictures of our college years..
Today, we have access to each other now. I know a day will come we can now launch the official website where we can have our official home on the world wide web. Forums or chats and individual emails may be added so that we will have our constant communication. With the help of our Almighty Father may this dream that started over a bottle of beer will come into a reality. Dec 2007 Nurse Licensure Exam will be release anytime today or early tomorrow we will be posting the results once we get the list. I’m so saddened by the news I heard that Holy Trinity Academy was aleady closed. It’s my school during my secondary or high school years. The memory of my high school life as what we commonly experience. The friends I gained during those years the memory of us were engraved in every wall of that school. The garden which I maintained in my Practical Arts subject located at the entrance of the school. I remember I even participated in the concreting of school ground and school pathways during my COCC or Cadet Officers Carrier Course in my third year. The school was run by Augustinian Nuns being supported by Augustinians school of the Philippines.Every time I got a chance to be back in our place I always attended our school Alumni Reunion every 27th of December. It’ sad that the last one I attended it was in 2002. I know most of us at the Alumnus Holy Trinity Academy has done a lot and made our part to make the school survive when we first heard that its was going to be closed because students enrollees had been decreasing because of high tuition fees compare to other government schools. We contributed a least little amount to help the school to continue its operation. But we couldn’t do anything about it. I only heard that it was already closed and I don’t have enough or full knowledge on the other reasons for its closure. But now as alumnus hold Holy Trinity Academy. You will be always be in my heart. Yuwie - Are you Friendly? You get paid from the things you already do, you will be paid for hanging around the internet. Gain more friends and gain more money. Do you have Friendster, Myspace accounts and other socializing-related sites accounts? Are you familiar of such accounts? If you are, its time for you to sign up for YUWIE a social network with a twist. It’s free to sign up. Upload pictures, change your lay out, add some widgets, Blogs, Emails, Chat and forums. Communicate with your friends and family while at the same time earn some dime to it. Yes you will earn extra dime every time you visit your profile, you will be paid if your friends visit your profile, every one that view your profile. And every time you invite your friends to join. YUWIE will pay you. Visit and sign up for YUWIE now. If you have more friends, you will have more money. Read the BBC report about YUWIE!!! Your Dream - Want to know the Meaning? Do you want to know the meaning of your dream? This blog is a collaborative blog written by a group of individuals. For questions about this blog, please contact admin@supladoonline.com. Isn’t Valentine’s Day a Christian day, named after a Christian saint? When we consider the matter more closely, we don’t find a strong relationship between Christian saints and romance. There is a lot of debate and disagreement among scholars about the origins of Valentine’s Day. We’ll never be able to disentangle all of the cultural and religious threads in order to reconstruct a complete and coherent story, but the pagan connections to the date are much stronger than the Christian ones. According to one story, Roman emperor Claudius II imposed a ban on marriages because too many young men were dodging the draft by getting married (only single men had to enter the army). A Christian priest named Valentinus was caught performing secret marriages and sentenced to death. While awaiting execution, young lovers visited him with notes about how much better love is than war — the first “valentines.” The execution occurred in 269 CE on February 14th. In 469, emperor Gelasius declared February 14th a holy day in honor of Valentinus instead of the pagan god Lupercus. This allowed Christianity to take over some of the celebrations of love and fertility which had perviously occurred in the context of paganism. Pagan celebrations were reworked to fit the martyr theme — Christianity did not approve of rituals that encouraged sexuality. Instead of pulling girls’ names from boxes, both boys and girls chose the names of martyred saints from a box. Valentine’s Day is no longer part of the official liturgical calendar of any Christian church; it was dropped from the Catholic calendar in 1969. It’s not a feast, a celebration, or a memorial of any martyrs. A return to more pagan-like celebrations of February 14th is not surprising — and neither is the overall commercialization of the day. Millions of people all over the world celebrate Valentine’s Day in one fashion or another, but it’s unlikely that even one of them celebrates it in an even remotely religious manner. Lets celebrate everyday as a day of love by continuing to love one another. My son Kyle loves cars so much. He has a steady supply of Top Gear and C! Magazines each month since Jan 2006 and some back issues of Top Gear from 2005 to 2004 courtesy of his parents’ allocated budget for these. He also has some American car magazines too, like automobile, NASCAR and trucks magazine. Not to mention that he also has other collectible car books which we got from book sales. His passion for automobiles started when he saw the movie “Cars” when he was a year and a half years old. At the age of 3 he already knows all car brands from Japanese, American, European and other luxury cars through their logos. I remember every time he’d have a new magazine he would scan it and ask me what that car is, almost everyday every time we are in our bed. I also remember buying him American Car Buyer’s Guide Magazine which features almost all the cars in the world. It would take tons of patience when a very curious little kid will ask, I remind myself when I’d get irritated because I couldn’t take some nap because he would always ask me about every featured car in every page. He was able to obtain the 2007 C! Buyer’s Guide Magazine which featured all cars in the Philippines. He has a collection of Hot Wheels Matchbox, Tomica die cast car and even Miasto. He has The Cars books, those containing Cars’ characters, Mugs, Pillow, and calendar of Lightning McQueen which her aunt Danet bought him from the States. And if you are to make him choose between going to a children’s playground or a car exhibit, he will choose to go the car exhibit. Even if we are in a bookstore he will seek the Automobiles section rather than children books. 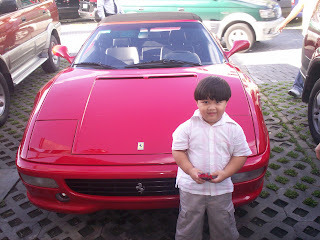 At the age of three, Kyle was featured in the August 2007 Edition of Top Gear Philippines’ Letter of the Month. Nurses licensure exam scandal? I think the biggest scandal nurses ever made was recorded in 2006. But I am sure it does not happen only to nurses’ exam but also to other courses like what I heard in the Civil Enginering board exam. It’s all because of the those review centers (I know not all but few of those review center), that instead on focusing in the more rigid and quality review of their review, they wanted an easy way. Just to make names. They don’t think about what will happen to those students who will be the victims of this scam. For me to pass the board exam takes not just a 2 to 3 months of review but many years of attentiveness in school, and finally answering those questions honestly during actual exam. How many years of hospital duties will count and most of all your faith and belief in yourself that you will pass because you have worked hard and studied hard for it for four years. And your faith and belief to our Almighty Heavenly Father Yahweh that He will let you pass the exam. To the Dec 2007 examines, good luck and our prayers. If you pass we welcome you whole heartedly. We welcome you to a career in caring. My friend Matt and I met today. My so called “twin” among the Sultans circle, friends compare sense that we look alike. It’s been 5 months since the last time we met. We talked things out. This included what happened to our other friend Jomarie’s wedding, wherein I learned it was a weeding story with comedy according to him. I missed to attend my friend’s long overdue wedding to Anna, his long overdue girlfriend. Both of them made sure they had vast availability of time and resources by the time they walk the aisle. (really) Too bad that I was not able to bring with me a digital camera that should have been posted in our Sultans website. Sultans celebrate our yearly reunion every December 27th of the year but since most of our friends are now working abroad, we never had a chance to get together again the way we used to last December 2007. But hopefully a big reunion in a future will happen. If not here in the Philippines, then maybe in another country, as I also dream of. Sultans have a member of 12 gentlemen who have been friends since (our first year in Nursing at the Colegio de San Agustin in Bacolod City. You can visit our temporary website(http://geocities.com/sultans91), because we will be launching our official website soon, with the financial help of our friends Maui, Arvin, and Arnel. 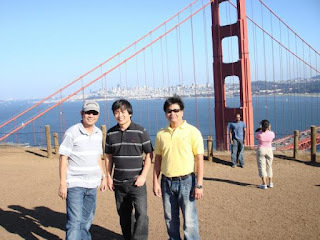 The three of them are now working and residing in San Francisco, California USA. (still playing tong its in San Francisco). Just watch out for the launching of our official website. The Dec 2007 Nurses Licensure exam is about to be released. I know the feeling of those who took the exam. I myself could not explain the exact feeling when our Dec 1995 PRC Nurses Licensure exam was about to published. Except that today when the results are released, you will be able to know the number of passers in one day. You just can log in to PRC Official website and website offers subscription so you just enter your name and email address they will email to you the complete results. During our time, we had to wait for the results to be completely published in three days by some news papers. So if your family name starts with letter z you will experience have an uxplainable feeling and your anxiety would be prolonged. You wouldn’t be able to sleep and eat. But this feeling will be gone if somebody tells you that you passed or have seen your name in the news paper. For me I saw my name after 3 days when the first set of passers were published. I was almost sure that and if I could not see my name on the fourth day I thought that I'd be in a mental institution by now. But what is important to those nurses who took the exam last Dec'07 is to pray and believe in yourself that you will pass and believe to Almighty Father Yahweh that He will let you pass. Matthew 21:22 states that "in and all things, whatever you shall ask in prayer, believing, you shall receive." And if you don't please bear in mind that all things work together for our own good. And that it's not yet the end of the world for you. It wouldn't hurt to try again or consider other options. Its hard for me to wish anything for you on your special day, because even though we are not yet blessed with as much material things in this world, I am sure you are blessed with (almost) the best and great husband (hehehe). You are also blessed with a loving son. Thank you for understanding and support you give in all things that we decide to do together. Hope I could give you what you are dreaming of. Hope you could start writing again to inspire not only me but inspire also those who believe in you. May our love and happiness continue till the end. Your son and I will just be here with you and for you always. Yahweh knows we love you. Kyle David is Almighty Yahweh’s gift of all gifts to me. He brings so much to my life, foremost of which is meaning. With his smile,laughter, playfulness, cries and childlike whims, the “aliveness” that I may have buried deep down inside me get resurrected. With him, the mother in me was born. One big hug and kiss from my son when I’d go home after a hard day’s work are all it takes to melt away the stress and hassles that go along with my daring to partake of what the corporate world has to offer. He taught me how to be a mother. He taught me how to be a better person than I was before I had him. In my daily prayers, Kyle certainly tops the list. If I have only one more prayer left, it will still be for Kyle. My blessings are all with him. I love you, Kyle David. Mama and daddy I will always be here for you. I have not yet considered myself a full-fledged writer. I just want to express myself into whatever means available. My wife is the real writer. A former business and managing editor of Launch Asia magazine when she was still single, she has written numerous articles and these have been published in various offline and online magazines and other publications locally and abroad. Now that she has me and our son as her priorities, she could not find time to write, which I know is her first and true love (aside from singing). She manages to keep her day job though as a manager at a multinational market research company. Yet I have been persistent in inviting her to post a blog, at least for our future blog site. She promised to find time to write. I hope and pray that I could start posting articles in the future as it will be my honor to post my wife’s journal one of these days. One Sunday, my “family” day as usual, Denice, Kyle and I went to the Glorietta Mall and headed off to Time Zone where my son loves to play, drive and ride his favorite rides including trailer trucks. After which, we hopped to the next stop: Toy Kingdom. My wife slipped out for some book hunting and once back, she told me that there was a camera exhibit ongoing at the ground floor of the mall. Knowing that this is the kind of news that would bring sparkle to my eyes. Of course, we went there next and once there, I saw almost all the latest models of digital cameras from a simple digital camera to SLR digital, to a water proof camera. It causes me pain seeing photographers holding their upgraded cameras and doing some shoots. While here I was still wondering when I could have my dream Canon 400D. Eventually I consoled myself knowing that with Almighty Yahweh’s help I know I could have this kind of camera in due time. February 1, 2008. I started my day with a prayer and Bible reading, and then opened my computer to reply to messages sent by friends who greeted me on my special day in my email box and via Friendster. I thanked my friends who still remember me, and also thanked my friends who still believe in me. I don’t have much to wish for on my birthday. Unless you consider it so: all I want would be more blessings, peace of mind, and happier family. Less burden on my shoulders, more great topics for my blogs and the most importantly, healthy body, mind and spirit. I’ve always wanted to continue my Photography to post more pictures online. I wish I could have my dream camera if not a Canon 400d then at least a Canon 350 or 300d. How I wish my ever beloved tita could have this as her present to me, but I understand her right now because I know how hard life now is with the recession in the United States. I called her up last week on her birthday and was surprised that she was still working on a Sunday and to think it’s the day of her birth. She’s the one helping our relatives financially. All she could do to give us better life and let my cousins continue their studies. The big reason why she became my ideal woman and also the reason why I took up nursing because of my admiration of her. But I am still hoping to have my dream camera this year. In the meantime, I’ll start my Photography blogs. Thank you so much again to those who remember me and also to those who forgot that it’s my special day. We do not celebrate it anyway. May Yahweh bless us all always. This morning I woke up and realized that today is February 1, the day when the man in my life was born. I thank and praise Almighty Yahweh for another year He has added unto you. May He add many, many more to the best husband in the world. And rest assured that no matter how many hundred years of age you’d be, in my eyes you’re still the same handsome, lovely man I have met for the very first time at the airport almost seven years ago today. I pray that He will continue to bless you more abundantly as you are a blessing to others, especially to me and our son Kyle David. And I know with Him as the Center of our family, the best is yet to come.